On May 21, after a decade of arduous negotiations, Russia finally signed a gas deal with China. The agreement foresees the delivery of 38 billion cubic meters (bcm) of Siberian gas a year to China for 30 years, starting around 2018. 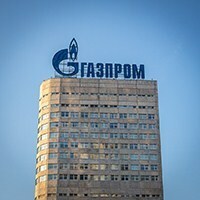 Media commentators have been quick to call the deal “historic,” and Russian President Vladimir Putin trumpeted it as “the biggest contract in the history of the gas sector of the former USSR.” With the deal’s value of $400 billion and the involvement in it of two major non-Western powers, one might be tempted to see the agreement as an economic and geopolitical game-changer. A closer look at some of the details, however, puts the agreement in perspective.